 How our prayers are received in the spirit realm.  How to pray in expectation.  How to live in confident faith that Gods will has been done as you wait for the physical manifestation of your answer.  Why you should never give up on prayer, but rather give in to God.  How to discern and overcome hindrances to your prayers.  How to exercise the power of prayer in your everyday life. As we turn to God, pray earnestly, and trust in Him, He will send great blessingshealing, forgiveness, reconciliation, and deliverance for us and our loved ones. He is the Great Physician, and He has already diagnosed your ailment and prescribed the cure. All He asks is that you trust Him and follow His Word. Ask for Gods help, and He will make you an overcomer in every area of your life. 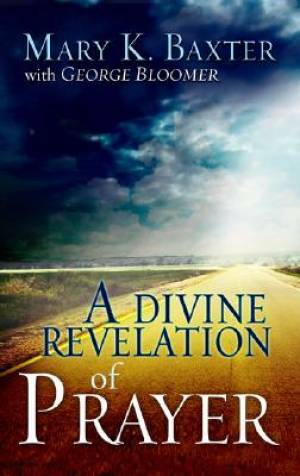 Divine Revelation of Prayer by Mary Baxter was published by Whitaker House in November 2008 and is our 19027th best seller. The ISBN for Divine Revelation of Prayer is 9781603740500. Be the first to review Divine Revelation of Prayer! Got a question? No problem! Just click here to ask us about Divine Revelation of Prayer.